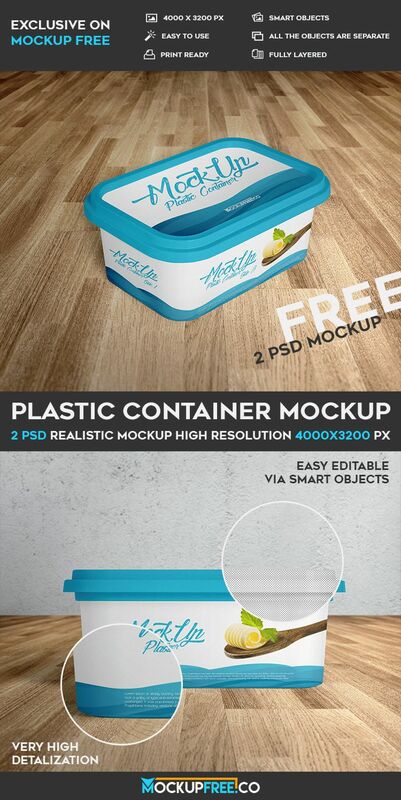 Download for Free this awesome Plastic Container that consists of 2 Free PSD Mockups. Having ready-made professional packaging mockup it is a great variant for any graphic designer. Choose the best Free mockup exactly for your design and present it to your clients. Easily customize this mockup in Photoshop!